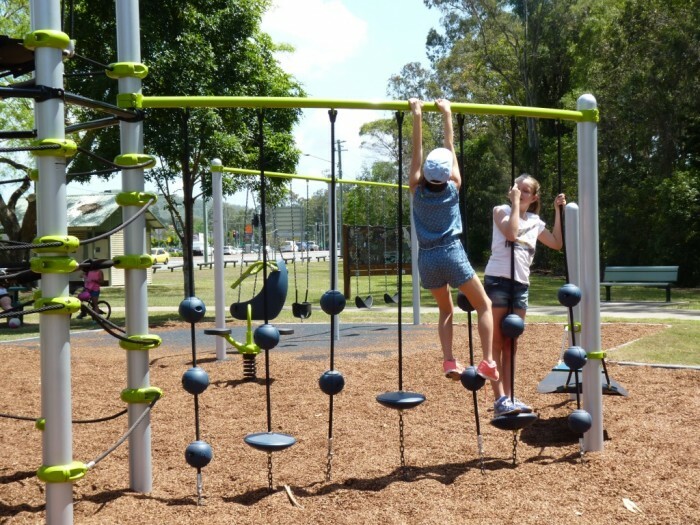 The most telling sign of the success of this playground was the massive hug I received from a mother when we first visited the park. 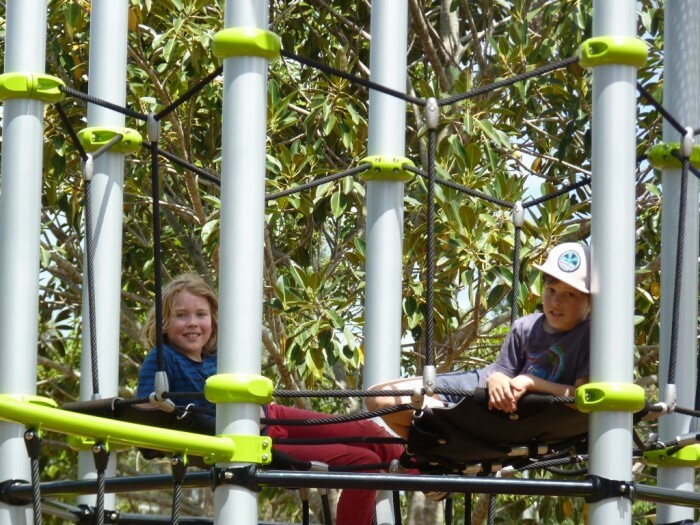 And she didn’t stop at one hug either! 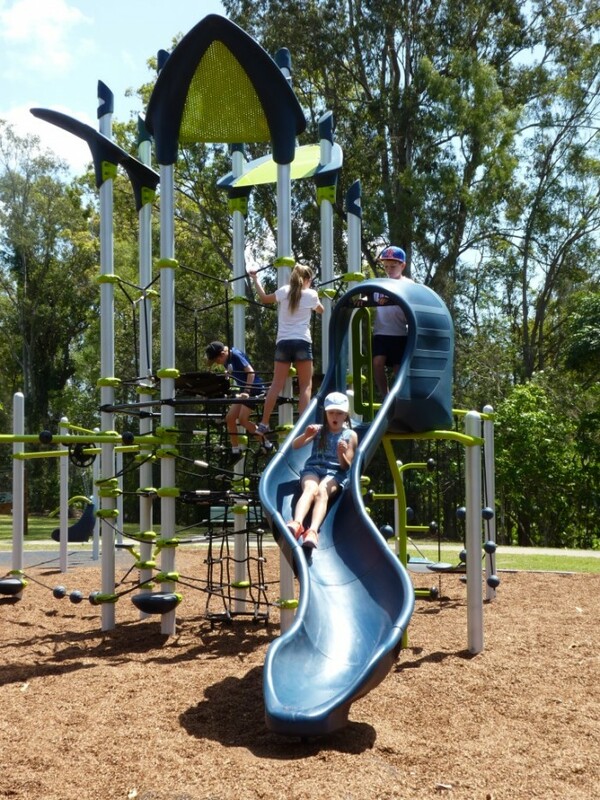 The kids just love it – and happy kids created a very happy mum here! 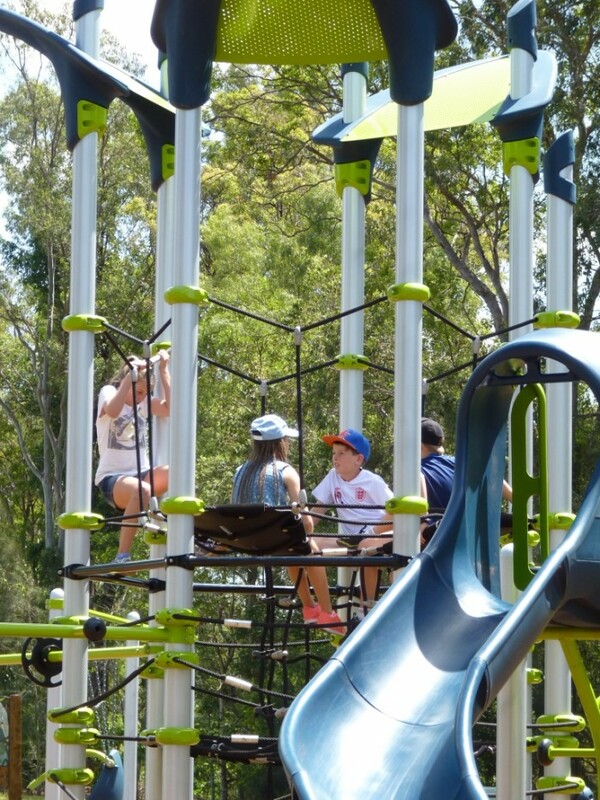 This Netplex unit in Bob Cassimaty Park is the first to be installed in Australia after its launch by Landscape Structures in January. 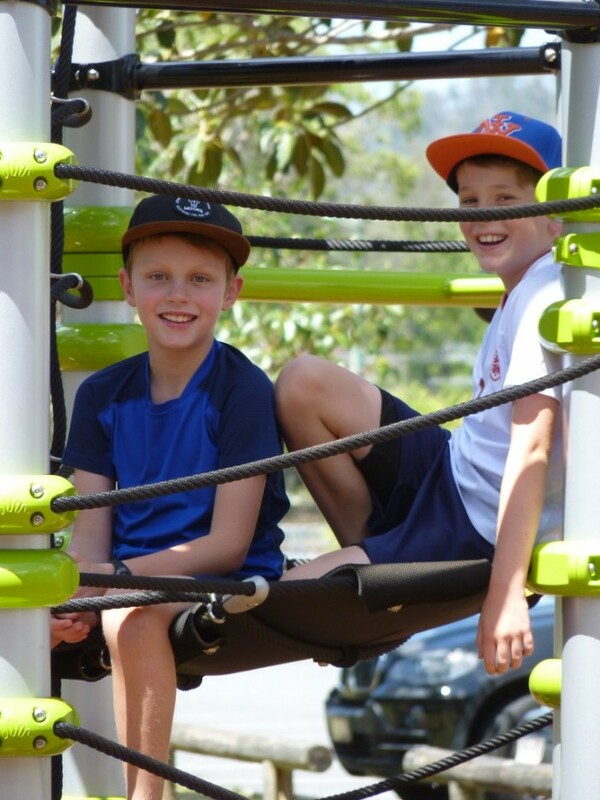 Offering so much varied challenge for children of all ages, the Netplex keeps children engaged on the playground for longer. 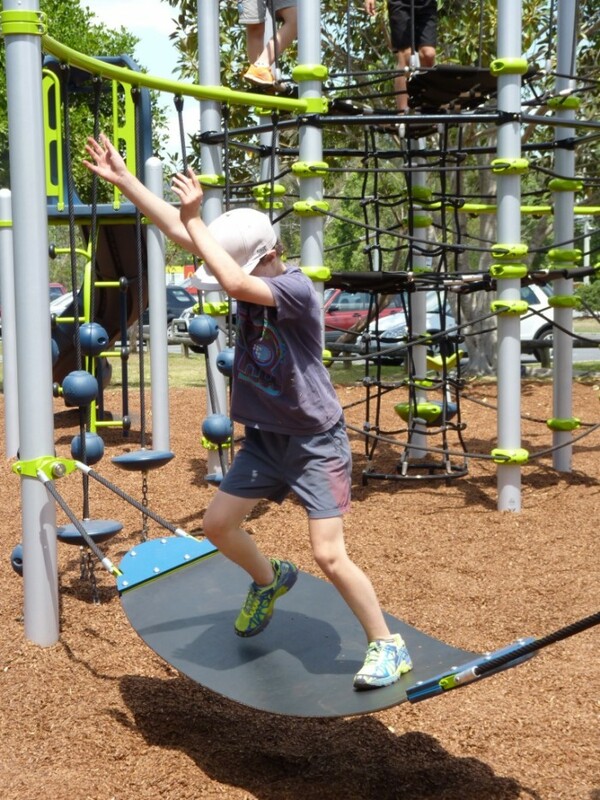 Spinning, sliding, climbing, monkey bars, tight rope and the ‘surf board’, which can be used as a simple rocker or for the older children, a difficult surfing challenge that begs to be mastered. 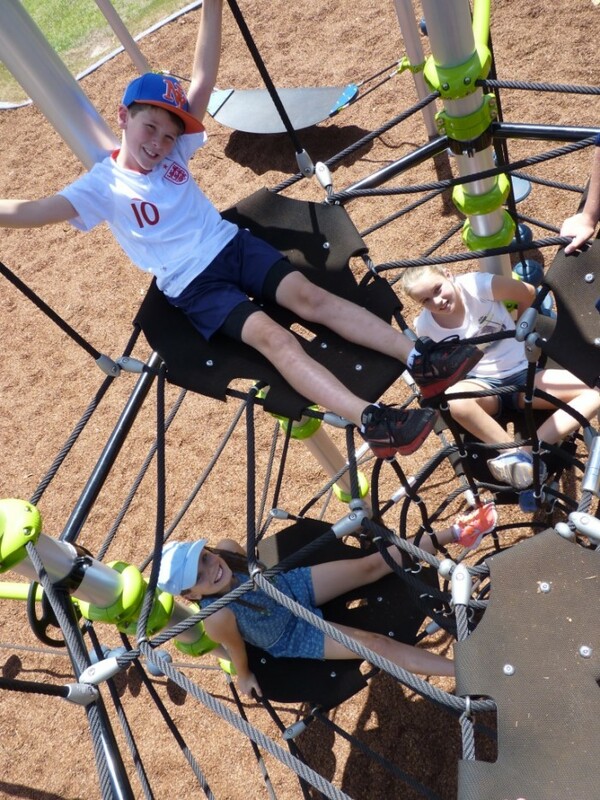 The central tower’s Skyport Climber gives levels of climbing challenge and ‘hang out’ seats along the way. 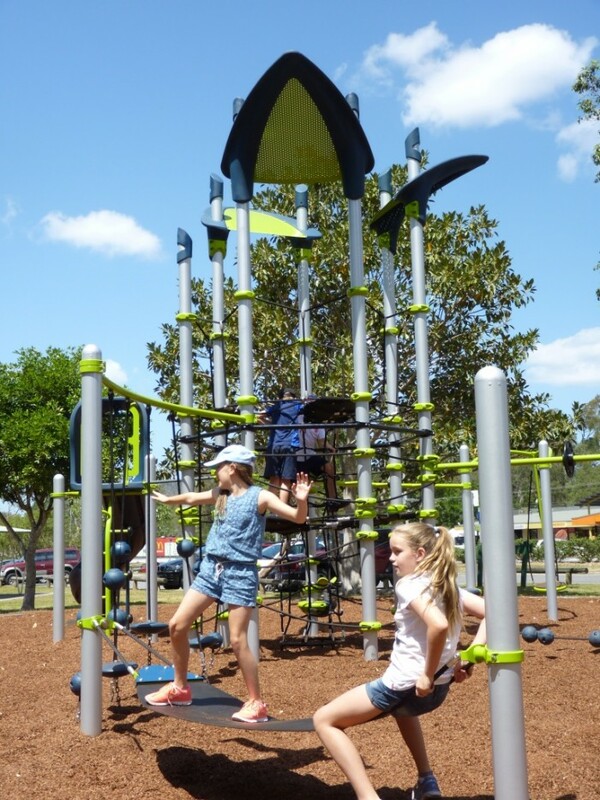 Accessing from the internal portal or climbing up the outside, the height of the climber provides a rewarding spot at the top to stop and decide which challenge to take on next. 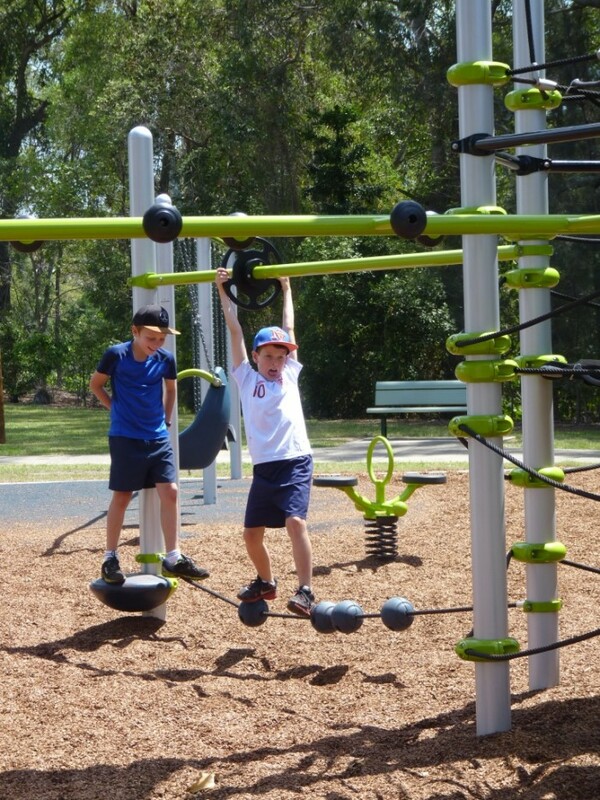 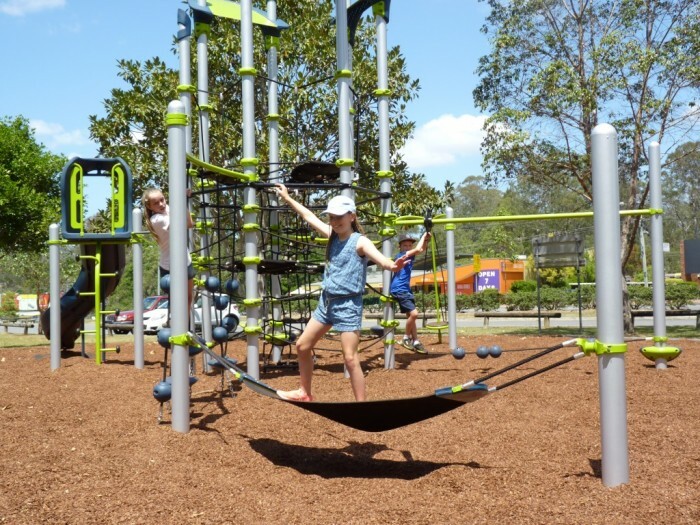 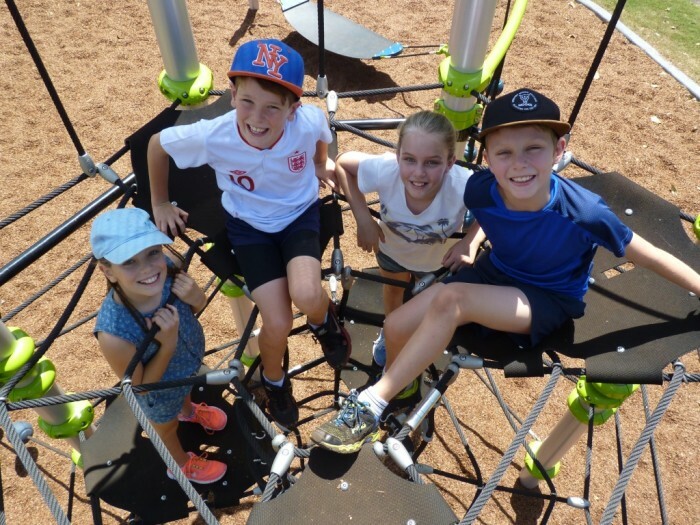 Additional play items surround the main structure, including a 4 seat swing with something for everyone – including an all abilities swing seat that provides full support for users with limited upper body strength. 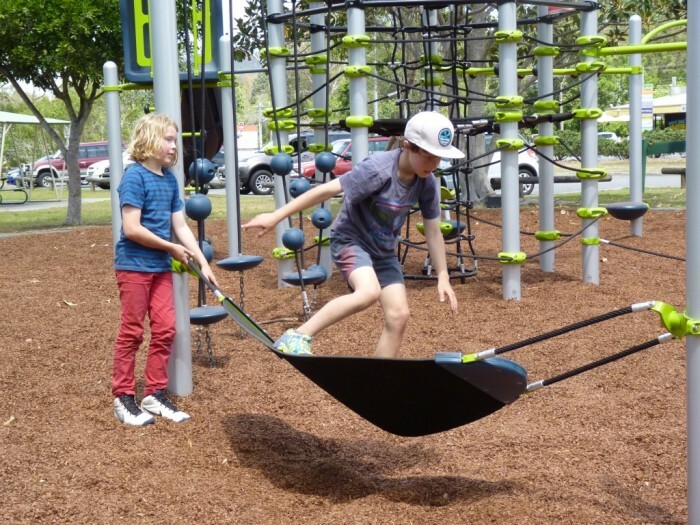 Because everyone loves to swing! 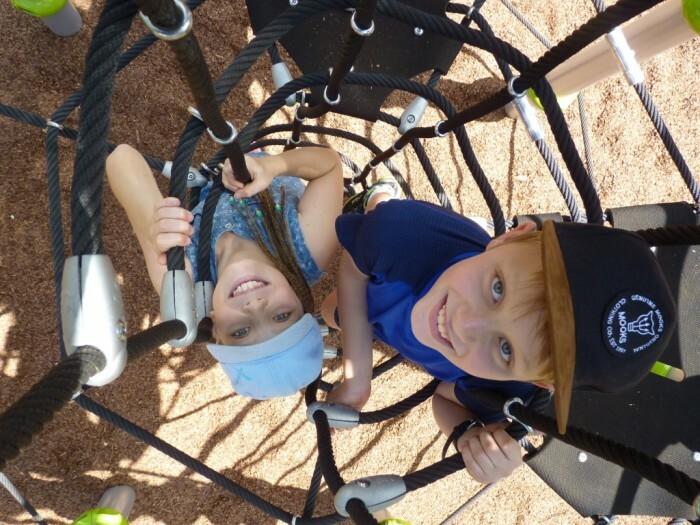 “It never gets boring” I was told by one child – just what we want to hear!